Happy Friday everyone! The summer weekends are dwindling down and I don’t even want to talk about that. It just means winter is that much closer and I. can’t. stand. winter. Moving on to happier topics! The new Website is almost ready to go. I’ve got to clean up some various pages and that’s about it. Once that’s complete, I’m going to make the switch to redirect my wordpress blog to my new site! The plan is to make the switch THIS WEEKEND. So, come Monday morning (or even this weekend if you’re hanging around the blog) my current blog (Carrie…On The Cheap) should redirect to my NEW BLOG (www.secretname.com). Let’s hope things go smoothly, though, and you’ll be welcomed with open arms to my new site on Monday! 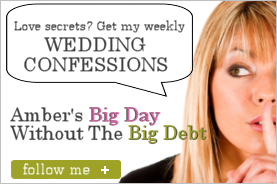 I’m so glad you guys liked the teaser for my new Wedding Confessions series that I put up this week! This series will NOT be on my new site. I’m partnering with a wedding Website for this series and I’ll be sure to post the link as soon as everything is ready to go. I think you guys will really like the series! I’ve had my netbook for a little over 2 weeks now and I’m absolutely loving it. 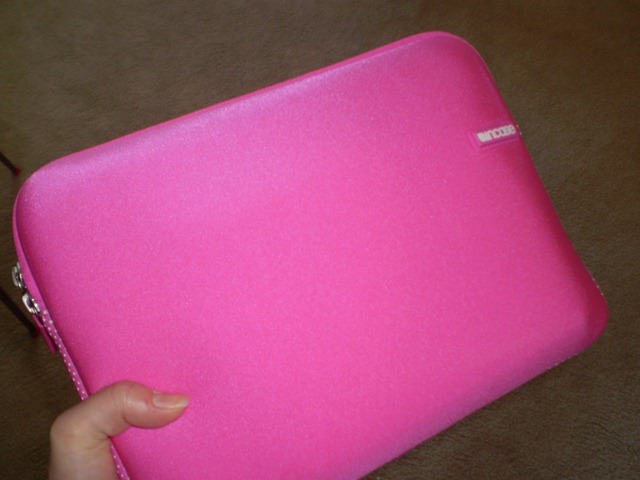 It is so convenient – even in it’s hot pink carrying case, it fits nicely into my purse. I’ve been bringing it with me to work and anywhere else I know I’ll have time to kill. It has turned out to be very useful over lunch at work – I’ve been snagging open conference rooms during my lunch hour and getting lots of blog tasks and freelance writing done. So far, the netbook is a win! That’s about it for me! I hope you guys have a great weekend and I’ll see you bright and early Monday morning with my new blog introduction post! …go check out my post on “Tough Love Debt Reduction” at Money Under 30! Surprise! I’m a new contributing blogger at Money Under 30! I am so excited that David has given me such a great opportunity to write for his website! I’ll be writing one post per week for now, so make sure to add Money Under 30 your feeder reader or list of blogs that you read! Hope you enjoy my post!